Financed by Russian Facebook (vKontakte) founder Pavel Durov, Telegram is a multi-platform messaging system that has grown from 100,000 daily users in 2013 to an impressive 100 million users in February 2016. 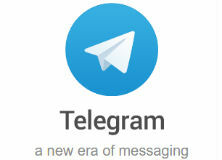 “Telegram is a messaging app with a focus on speed and security, it’s super-fast, simple and free. You can use Telegram on all your devices at the same time — your messages sync seamlessly across any number of your phones, tablets or computers,” the company’s marketing reads. One of the attractive things about Telegram is that it allows users to communicate with each other using end-to-end encryption. In some cases, these systems are used for content piracy, of music and other smaller files in particular. This is compounded by the presence of user-programmed bots, which are able to search the web for illegal content and present it in a Telegram channel to which other users can subscribe. While much of this sharing files under the radar when conducted privately, it periodically attracts attention from copyright holders when it takes place in public channels. That appears to have happened recently when popular channel “Any Suitable Pop” was completely disabled by Telegram, an apparent first following a copyright complaint. According to channel creator Anton Vagin, the action by Telegram was probably due to the unauthorized recent sharing of the Taylor Swift album ‘Reputation’. However, it was the route of complaint that proves of most interest. Rather than receiving a takedown notice directly from Big Machine Records, the label behind Swift’s releases, Telegram was forced into action after receiving threats from Apple and Google, the companies that distribute the Telegram app for iOS and Android respectively. According to a message Vagin received from Telegram support, Apple and Google had received complaints about Swift’s album from Universal Music, the distributor of Big Machine Records. The suggestion was that if Telegram didn’t delete the infringing channel, distribution of the Telegram app via iTunes and Google Play would be at risk. Vagin received no warning notices from any of the companies involved. According to Russian news outlet VC.ru, which first reported the news, the channel was blocked in Telegram’s desktop applications, as well as in versions for Android, macOS and iOS. However, the channel still existed on the web and via Windows phone applications but all messages within had been deleted. That Telegram finally caved into the demands of Google and/or Apple doesn’t really come as a surprise. In Telegram’s frequently asked questions section, the company specifically mentions the need to comply with copyright takedown demands in order to maintain distribution via the companies’ app marketplaces. 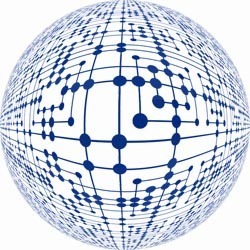 “Our mission is to provide a secure means of communication that works everywhere on the planet. To do this in the places where it is most needed (and to continue distributing Telegram through the App Store and Google Play), we have to process legitimate requests to take down illegal public content (sticker sets, bots, and channels) within the app,” the company notes. Putting pressure on Telegram via Google and Apple over piracy isn’t a new development. 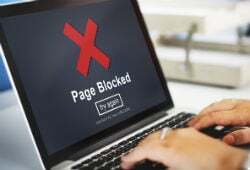 In the past, representatives of the music industry threatened to complain to the companies over a channel operated by torrent site RuTracker, which was set up to share magnet links. In November 2011, the International Federation of the Phonographic Industry (IFPI), with support from Finnish anti-piracy group Copyright Information and Anti-Piracy Center (CIAPC), filed a lawsuit in the Helsinki District Court against The Pirate Bay. IFPI, which represents the world’s major labels, demanded that the site’s operators stop facilitating the unauthorized distribution of music and pay compensation to IFPI and CIAPC-affiliated rightsholders for the damages caused through their website. 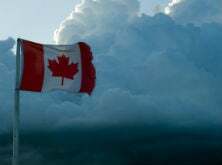 Progress in the case has been somewhat glacial but this morning, almost six years after the complaint was first filed, a decision was handed down. Fredrik Neij and Gottfrid Svartholm, two founder members of the site, were ordered by the District Court to cease-and-desist the illegal operations of The Pirate Bay. They were also ordered to jointly and severally pay compensation to IFPI record labels to the tune of 405,000 euros ($477,000). The Court was reportedly unable to contact Neij (aka TiAMO) or Svartholm (aka Anakata) in connection with the case. With no response received from the defendants by the deadline, the Court heard the case in their absence, handing a default judgment to the plaintiffs. Last year a similar verdict was handed down by the Helsinki District Court to Pirate Bay co-founder Peter Sunde. 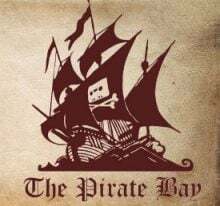 Sony Music Entertainment Finland, Universal Music, Warner Music, and EMI Finland sued Sunde claiming that the music of 60 of their artists has been shared illegally through The Pirate Bay. Sunde was also found liable in his absence and ordered to pay the major labels around 350,000 euros ($412,000) in damages and 55,000 euros ($65,000) in costs. He later announced plans to sue the labels for defamation. Fredrik Neij, Gottfrid Svartholm, and Peter Sunde all owe large sums of money to copyright holders following decisions relating to The Pirate Bay dating back at least eight years. In all cases, the plaintiffs have recovered nothing so the latest judgment only seems likely to add to the growing list of unpaid bills. Meanwhile, The Pirate Bay sails on, seemingly oblivious to the news.